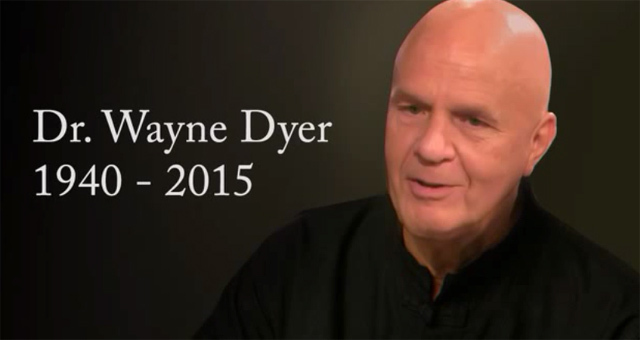 Dr. Wayne W. Dyer passed away over the weekend. He was 75 years old. The speaker and author was often referred to as a “self-help guru,” but in some sense that distinction does not do him justice. The term “self-help guru” can conjure up images of men who find ways of helping themselves — to other people’s money. Dr. Dyer was no con man. He was a student of the spiritual world who became a master. One does not need to agree with everything a man like Dr. Dyer says in order to admit that he was an excellent teacher. Imagine lining up the walls of the room you’re presently in, with all of the elements present: Without the space of the center, it’s no longer a room, even though everything else is the same. A clay pot is not a pot without the emptiness that the clay encapsulates. A house is not a house if there is no inner space for the exterior to enclose. Note to Ms. Johnson: This is a post to pay tribute to Wayne Dyer — not to promote your blog. Try that somewhere else. Perhaps when you die someone will write something nice about you, and then a blogger will come across those words and try and use that moment to besmirch your reputation. I hope the person who says something nice about you reacts as I have today.